SpaceX is targeting Sept. 30, 2017, for the liftoff of the third set of 10 Iridium NEXT satellites for Iridium Communications. The launch atop a Falcon 9 rocket is targeted for 9:30 a.m. EDT (13:30 GMT) from Space Launch Complex 4 East (SLC-4E) at Vandenberg Air Force Base in California. In 2007, then Iridium Satellite LLC announced plans to launch its next-generation Iridium constellation from 2015 through 2017. However, numerous delays pushed the first launch to January 2017. The Iridium-1 mission was followed by the Iridium-2 mission some five months later in June 2017, bringing the total of next-generation Iridium communications satellites in orbit to 20. Iridium plans to replace each vehicle in its 66-satellite legacy constellation, some of which have been in space since 1997, one by one with the upgraded NEXT spacecraft. The company said that a network replacement of this size and scale has never been achieved before. SpaceX will launch a total of 75 Iridium NEXT spacecraft over eight Falcon 9 launches. With multiple satellites in six orbital planes, each new vehicle will have to be activated, checked out, and switched with a legacy satellite. If Iridium-3 launches on the date currently scheduled, it will be just over three months after the June 25, 2017, Iridium-2 launch. Iridium-4 is tentatively scheduled for no earlier than November 2017. Like the other two Falcon 9 Iridium missions, SpaceX will attempt a recovery of the first stage of this rocket, likely on the company’s Automated Spaceport Drone Ship Just Read The Instructions. To date, Iridium has completed enough spacecraft for the next three launches. 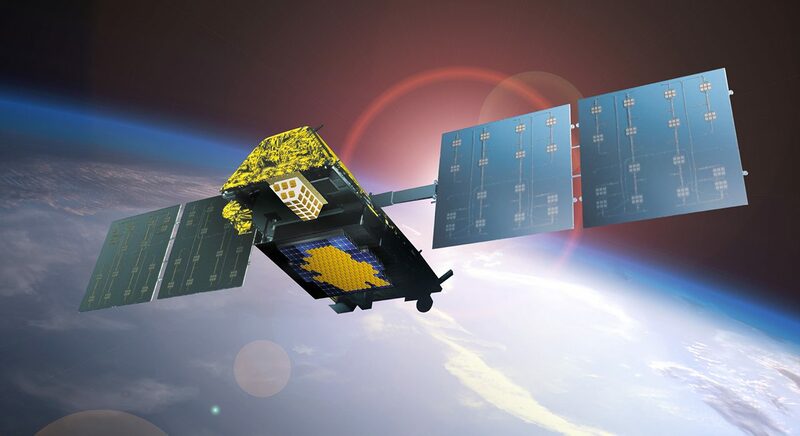 The new satellites feature new services such as Iridium CertusSM, which is a new aviation broadband communications platform, and the AireonSM space-based ADS-B aircraft surveillance and flight tracking network. The satellites are manufactured by Thales Alenia Space and assembled by its subcontractor, Orbital ATK, at its facility in Gilbert, Arizona. Each has a planned lifespan of 15 years. Will Iridium-3 be launched on a Falcon 9 Block 4 booster? Per SpaceX’s John Taylor – yes.